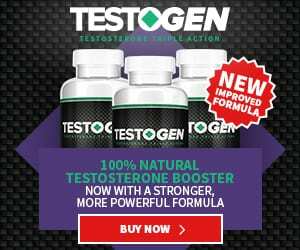 Testosterone 1500 Review - (Learn the truth) Does It Really Work? How Does Testosterone 1500 work? Should you buy Testosterone 1500? Testosterone 1500 is a testosterone booster manufactured by Purity Select and distributed by HGH, one of the leading bodybuilding and HGH supplement stores online. Muira Puama, Longjack and Tribulus Terrestris are known to enhance sexual energy and libido. Ginkgo biloba is supposed to dilate the blood vessels, which increases the blood flow to the muscles and different parts of the body. Maca is known to enhance energy, while Nettle has some kidney function benefits. No known side effects were reported. Testosterone 1500 can pass as a decent T-booster, but because the formulation comes in a proprietary blend, we can’t determine the effectiveness or safety of this product. Also, the price is quite hefty for a product that does not contain core test-boosting ingredients such as Fenugreek, D-Aspartic acid, ZMA, and Vitamin D3 (among others).